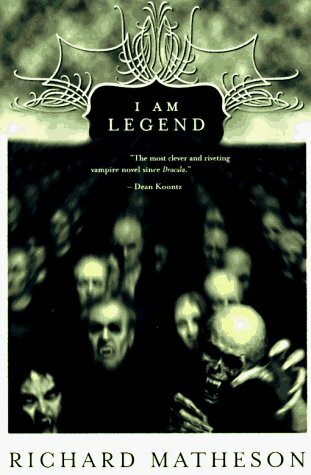 Last week I reviewed the post-apocalyptic horror novel I am Legend. As it so happens, I am Legend was a rather short book, and I finished it only partway through a rather long weekend of traveling to and from a wedding in Wyoming. 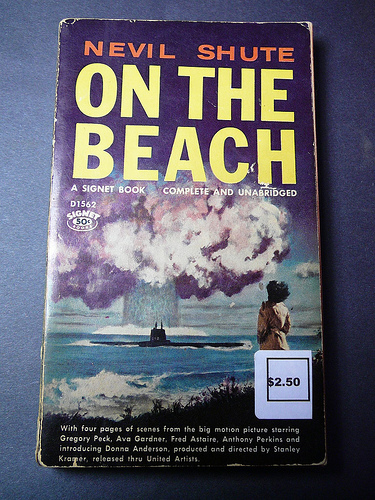 I was already in a post-apocalyptic mood, so I bought a copy of the classic post-apocalypse novel On the Beach by Nevil Shute for my Kindle. On the Beach was a very different sort of novel from I am Legend. Where I am Legend is lots of action, On the Beach is a quieter story about people facing the inevitable. The premise for the story is that World War III has happened, and the many nations in the northern hemisphere have destroyed each other with nuclear weapons, particularly with Cobalt bombs designed to produce incredible amounts of fallout. Now, nearly a year later, the northern hemisphere is dead and the fallout is drifting south with atmospheric circulation. The novel is set in and around Melbourne Australia, the southernmost large city in the world, and therefore the last to die. Shute does a really nice job developing a handful of sympathetic characters, each of whom deals with the coming end in their own way. I was also impressed with how plausible the war in the northern hemisphere sounded. The end of the novel is no surprise, but it was still a tearjerker to read. I suppose my only complaint was that the characters all seemed to accept their end pretty gracefully. I think it’s true that some people would, but I am sure others would be frantically building fallout shelters and hoarding supplies, even in the face of certain creeping death from the radiation. The scariest thing about this novel is that the only thing about it that is science fictional is that the cobalt bombs were actually built and used. The idea was there, and the nuclear arsenals of the US and the USSR were certainly large enough that the type of destruction described would be plausible if some of the bombs were cobalt bombs. I should note that this novel, which was written in 1957, shows its age. It’s not a bad thing, for the most part, but it just “feels” like it’s from that era. Gender roles are the most obvious sign of the times. One of the main characters is a very independent (read: drunk) young woman who gradually shapes up and begins to take stenography classes. Men do most of the more active, interesting stuff in the novel. It was also annoying that the wife of one of the main characters was so ignorant. It served a purpose in the novel of course, because by explaining to her, the author was able to explain to the reader, but it still grated a bit. Somehow, despite its very sad and grim ending, this novel manages to still not be as dark as I am Legend was. A constant theme throughout the story is how people come with the inevitable by pretending that it isn’t happening, and how really, maybe that’s ok. They continue to go about their lives. Society doesn’t devolve into violence the way that many post-apocalyptic stories depict. In a way, that was refreshing. 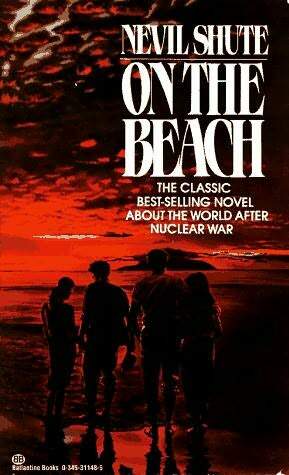 So, if you want an original, classic and touching look at the end of the world, I recommend On the Beach. No, not the Will Smith movie. The classic 1954 post-apocalyptic vampire/zombie novel that inspired the movie. 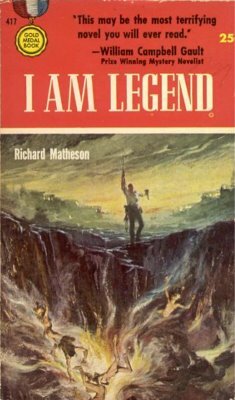 I am Legend, by William Matheson, is a quick read and well worth it. It is intensely atmospheric, conjuring a very dark future in which the world’s population has succumbed to a disease that turns them into vampire-like monsters. The sole survivor is the main character, Robert Neville. Neville spends his days hunting down and killing the vampires and repairing his fortified home. At night he locks himself inside, drinking whiskey and listening to classical music while the vampires rage against his fortifications. As the story progresses, the psychological toll on Neville grows and he almost despairs and gives himself up to the vampires. He eventually befriends a stray dog, and their brief companionship helps Neville snap out of his drunken depression. He decides to figure out what caused the vampirism, reading up on biology and setting up a laboratory in his house. This novel may be the first one to attempt to explain vampirism scientifically. It does an admirable job with its technobabble, using a mix of bacterial infection and insanity to explain the various traits of a vampire. I won’t give away the ending of the story, other than to say that Neville meets an apparently uninfected woman, and there follows a great series of scenes where Neville struggles with his intense distrust and his intense longing for a companion. The very end of the novel has a nice twist and the conclusion of the novel is very different, much darker, and far better than the one in the Will Smith movie. This was generally a great book, especially for the atmospheric, dark vision of the future that it portrays. 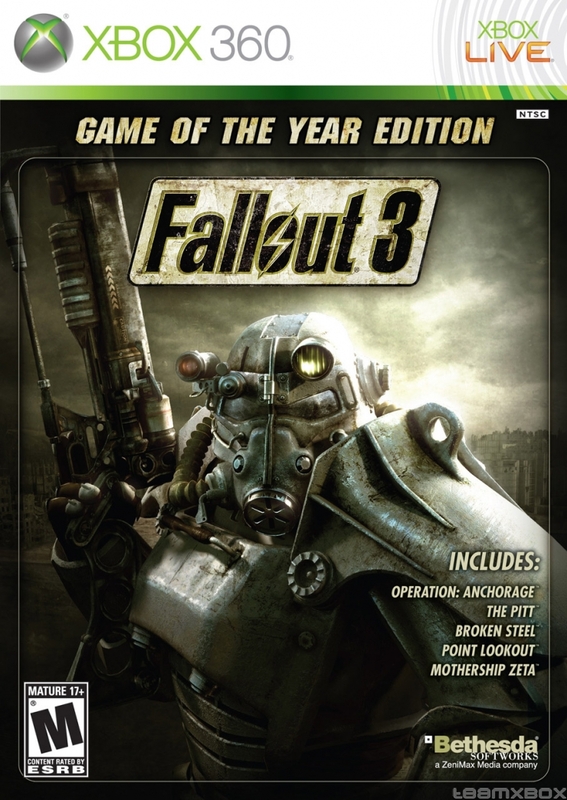 It definitely influenced the aesthetics of later post-apocalyptic worlds, such as the one portrayed in Fallout 3. The novel ages pretty well, although the mannerisms and speech of the main character are somewhat dated, and there are sexist undertones that are a sign of the times when it was written. My biggest complaint was the frequency with which Neville is shown spilling whiskey, smashing glasses against the wall, and just generally being drunk and despairing. I mean, I get it that he’s got issues, but some variety in how they manifested would have helped. Despite those complaints, I highly recommend this novel. It’s a classic and when you read it you’ll see why. 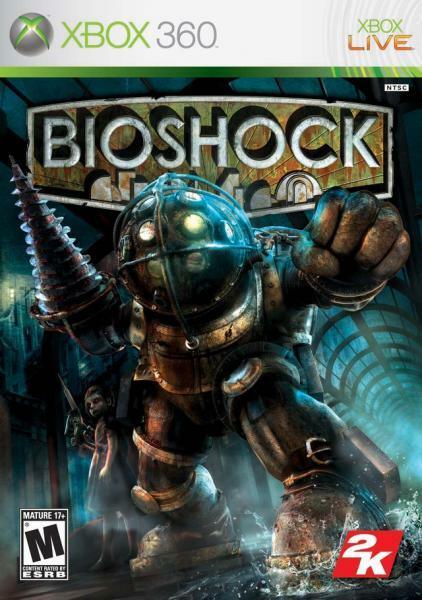 When Bioshock came out, I heard rave reviews about its revolutionary gameplay, deep storyline, tough moral choices, arresting visuals and general awesomeness. So of course, when I decided to give in to my old gaming addiction and get an XBox 360, it was near the top of the list of games I wanted. Well, I just finished playing and sadly, I was pretty underwhelmed. The premise of the game is that in 1960, your character’s plane crashes in the middle of the ocean. You survive and find a bathysphere that takes you down to Rapture: an undersea city built by a man named Andrew Ryan as a sort of Randian laissez-faire paradise. But immediately it becomes clear that all is not well in Rapture. Everyone you meet is insane and tries to kill you, thanks to rampant addiction to ADAM, a substance that allows people to regenerate and rewrite their genetic code using “plasmids”. As you progress through the game, you collect various weapons as well as various plasmids that give you abilities like telekinesis, or the ability to throw lightning, fire, or even swarms of insects at your enemies. To gain plasmids, you need to get ADAM, which is collected from dead bodies by the “little sisters”: little girls who have been mentally programmed to extract ADAM with wicked-looking syringes. The little sisters are protected by “big daddies”, which are huge, groaning, heavily modified humans in armored diving suits. The little sisters are impervious to all of your weapons, which made me wonder why exactly they need Big Daddies to protect them. But in any case, once you have dispatched a Big Daddy, there are two ways to get ADAM from the little sister. The first way is to “harvest” her, which gives you lots of ADAM but also kills her. The other way is to “rescue” her, turning her back into a normal little girl. This gives you less ADAM, but you are repaid with gifts and assistance from the rescued girls. The decision whether or not to kill the little girls is really the only moral choice that you make in the game, and it doesn’t change much, other than the ending cinematic. A little sister prepares to harvest ADAM from a corpse, while her Big Daddy protects her. The plot of the game is almost entirely backstory. There are some interesting twists toward the latter part of the game, but really the game boils down to killing everyone in each level and perhaps collecting some items in the process that allow you to progress to the next level. In the process you come across various tape recordings from key characters that reveals some of the events prior to your arrival at Rapture. These eventually come together to reveal what sounds like an interesting story, but my complaint is that the player is not really an active part of that story! In fact, much is made in the game of how little the character has to say in what he does. I would much rather have seen the game set before all hell broke loose in the city. The player could choose which of the various factions to side with, and there would have been lots of interesting moral choices to make that would actually shape the fate of the city. But instead everything has happened already and you just run around trying to survive and make sense of it. By placing the player in a mostly passive role, it took away a lot of the potential depth to the story for me. The game’s strongest point was definitely the visuals. 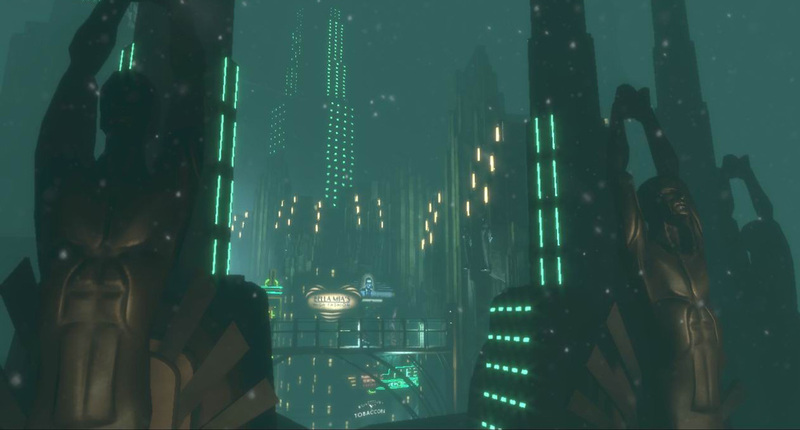 Rapture is undeniably a cool-looking place, with a neat combination of art-deco and steampunk influences. The environment is very “elemental” with lots of fire, water and electricity, and ice and this is mirrored in some of the plasmids that you can collect. And of course, the Big Daddy/Little Sister combination is visually striking. Since this is ostensibly a science blog, I should say something about the science of the game, but really, this is more fantasy than science fiction. I think we all know that you can’t genetically modify someone to shoot fire out of their fingertips and that a city at the bottom of the ocean is not really practical. Also, you can’t genetically modify an organism “on the fly” by jabbing a syringe in its forearm. Any given individual is pretty much stuck with their original genes, at least as far as my understanding of genetics goes. There is one glaring error that I have to mention, even though it is a nitpick. At one point, you encounter a bunch of ice, and you are told that the ocean water is so cold that when it leaks into the city it freezes solid. This is total BS. The bottom of the ocean is above freezing, and as you may remember, ocean water is salty so it freezes at a lower temperature. It’s true that supercooled water can be liquid under pressure and freeze when depressurized, but it doesn’t make much sense for it to freeze when it encounters the warmer environment inside the city. Anyway, Bioshock was a very cool-looking game with an interesting backstory, but ultimately it didn’t live up to the hype. The game itself felt quite shallow to me. The moral choice was not particularly interesting or consequential and the gameplay boiled down to killing everything on each level. The main characters were all caricatures with little depth, and the player was essentially passive, with little choice about how to proceed. Without giving anything away, I’ll also say that I found the end of the game to be surprisingly abrupt and anticlimactic (and easy). The plasmids basically just served as a different set of guns, so I didn’t think they really changed the gameplay that much. The enemies on each level didn’t offer much variety, and the ability to respawn every time you die made it easy to just throw caution to the wind and attack without strategy until they were all dead. Maybe my hopes were too high and I expected too much from a shooter game. I think it’s clear that I’m more of a RPG person, and maybe that’s the main problem I had with Bioshock. But then again, I enjoyed the first two Halo games. 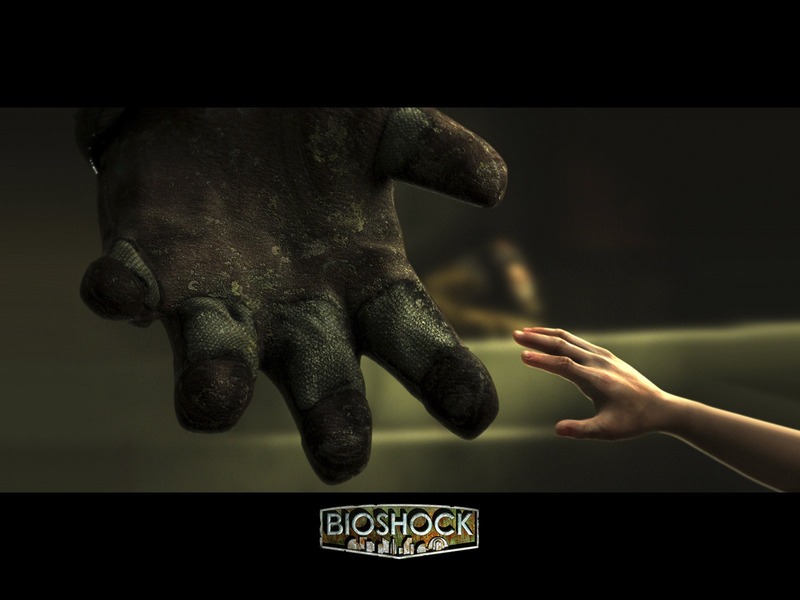 In any case, Bioshock was fun, but ultimately for me it didn’t live up to the hype. Other than Spore, which I played briefly (but intensely!) last year, and occasional multiplayer games when I visited with friends, Fallout 3 is the first serious single player game that I have played in a very long time. I used to be extremely addicted to video games, and for most of undergrad and grad school I had steered clear of them because I felt like I couldn’t afford the time. 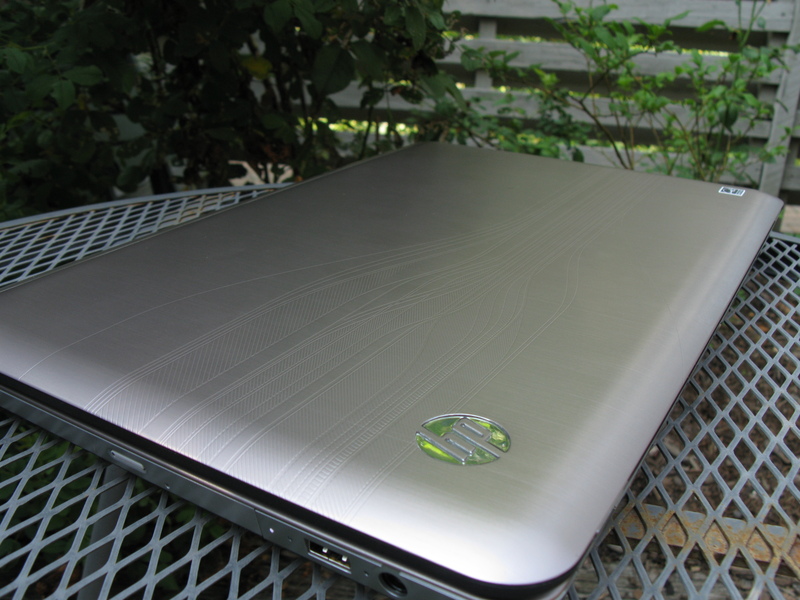 But finally, this past christmas I decided I was ready to dive back into the gaming world with an XBox 360. I did my homework, and discovered a bunch of great games that had come out in the last few years for XBox360, and I got several of them for Christmas. Fallout3 just happened to be the first one I played. Let me get this out of the way up front: Fallout 3 is one of the best games I have ever played. After years of starving myself from video games, Fallout 3 was like a ten-course meal from the finest chefs. I was always a sucker for role-playing games with their rich worlds, interwoven plots and sub-plots, the constant search for better equipment and of course, creating and leveling up a character. Fallout 3 has this in spades. Let me start with the world, which is definitely the strongest part of the game. 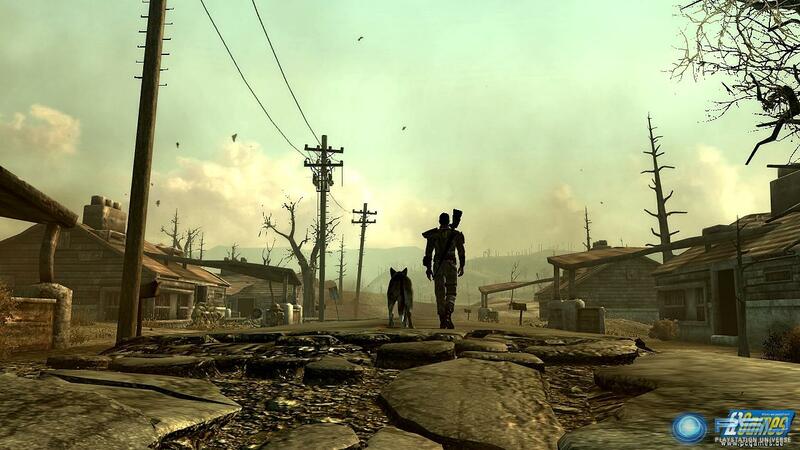 Fallout 3 is set in a post-apocalyptic Washington, DC and its environs, 200 years after a devastating nuclear war wiped most of civilization off the map. Using DC as a setting was a brilliant move, because it has so many iconic locations. There’s something simultaneously thrilling and disturbing about walking around the Mall amidst the ruins of the Capitol Building, the Smithsonian museums, and the Washington Monument. Later in the game I went searching for the White House and found that the only thing left was a radioactive rubble pile. The Pentagon and the Jefferson memorial are major locales in the plot, and there is a side-quest to help a group of slaves retake the Lincoln Memorial from a group of slavers and make it into a beacon of freedom. It’s not just sightseeing downtown though. One of the major strengths of the game is the huge expanse of the “Capitol Wasteland” that you can explore. It’s great fun to just wander the wasteland and see what you find. There are hundreds of unique landmarks in the wasteland, and each of them is related to one of the dozens of quests in the game. And the attention to detail in each location is stunning. It’s also more than scenery: there are people. Memorable characters are scattered throughout the game, and most of the time, if you say the right things, you find that they could use your help with something. And of course, like most RPGs, even simple requests can grow into multi-stage quests that lead you to unexpected locations and into confrontations with unexpected foes. I particularly liked that most of the quests had multiple ways to complete them. Do you kill the raiders, or sleuth around to find and alleviate the cause of their raids? Do you rat out the snake oil salesman, or take him aside and convince him to stop cheating people? Do you blow up the town, or disable the bomb, or do neither? Most of the quests have clear “good” and “evil” choices, but there are a fair number where the right choice isn’t always so evident, including some of the more important quests in the main story. The story itself is pretty good, and could be completed pretty quickly if one were so inclined, but I dragged it out, pursuing almost every side quest I could find. The voice acting is very good for a video game, and I was surprised to see that Liam Neeson is the voice of the main character’s father. The story begins with the father disappearing mysteriously and the main character setting out to find him. Eventually you do, and get caught up in a project that has been in the works since before the main character’s birth, and which leads to conflict with the Super Mutants who have taken over much of the ruins of Washington, and the Enclave, who have used their superior military technology to take over what remains of the government. 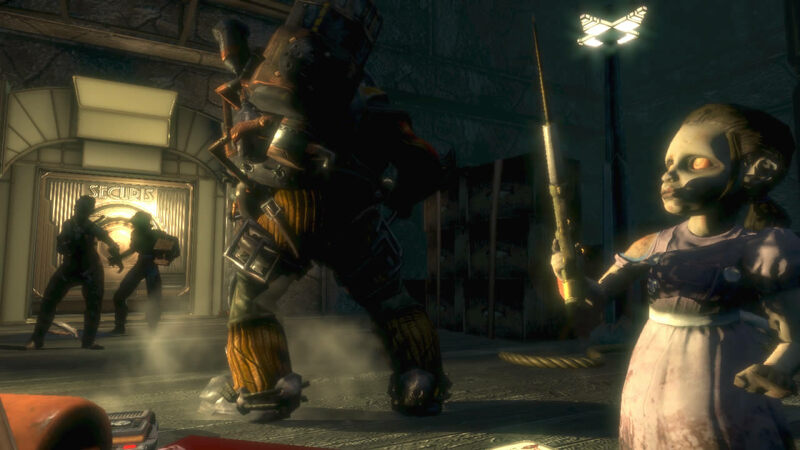 The prevailing culture of the Fallout 3 world before the war was similar to the 1950s, and everything from the propaganda posters to the cars, to the signs on the front of stores recalls this era. It may seem surprising in a post-apocalyptic game, but there is actually a decent amount of humor in Fallout 3 and much of it is based on the incongruity of quaint, optimistic relics of a 1950s culture and the “reality” of the Capitol wasteland. I particularly enjoyed the Vault Dweller’s surival guide, which you can browse here. Of course, no game is perfect. I had a few minor complaints, the first being the targeting system and the gore. When fighting enemies (which tends to happen frequently), the easiest way to aim is to use the built-in targeting system, which freezes time, zooms in on the enemy and allows you to select which part of their body to shoot, and gives a likelihood in percent that you will hit that point. 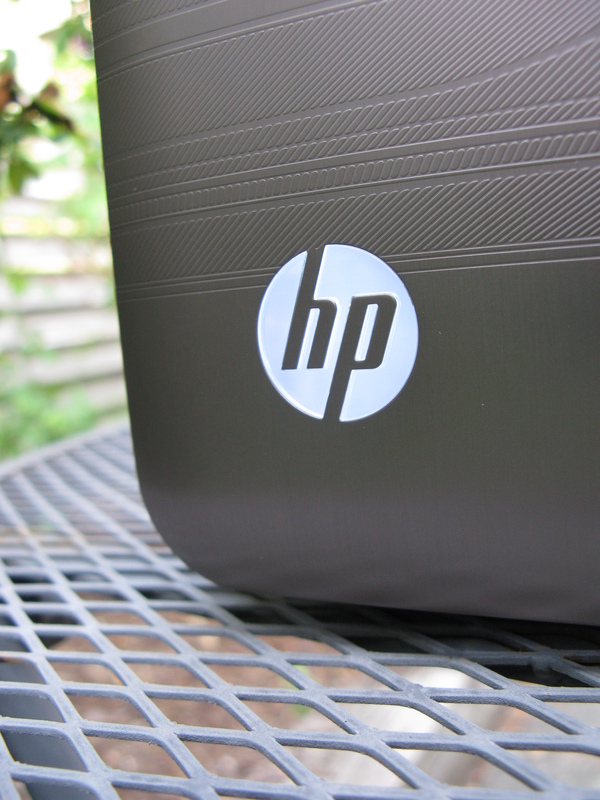 This is very handy, but it results in a slow-motion cinematic view of the shots being fired. This was really cool the first few times, but after a while I had two problems with it. First, I don’t really need to see every single shot in slow-motion, but I’d like to still be able to use the targeting system. Second, slow-motion means you get to see the blood and gore in excruciating detail. Every. Single. Time. I don’t really need to see heads exploding in that sort of detail, but there is no option either to speed up the replays or to reduce the level of gore. Another complaint was that the variety of enemies was somewhat lacking. There are a few broad groups of enemies that you encounter in the game: super mutants, feral ghouls (radiation-induced zombies), raiders (humans gone bad), and enclave (high-tech soldiers), and mutated (a.k.a. giant) animals. That’s pretty much it. It would’ve been nice to see a little more diversity. Ugly and green though they are, after killing the hundredth super-mutant, I was looking for something else. A final complaint is that the level cap is too low. Even with the Game-of-the-Year expansions, which increase the level cap to 30, I maxed out while there was still plenty left to do in the game. On the one hand, it was fun to be so powerful that I didn’t have to worry about most battles, but it made the end of the game somewhat anticlimactic to be able to kill everyone without breaking a sweat. It would be nice if there were levels enough for all of the available experience in the game, and if the difficulty of battles scaled to the player’s level a little better. 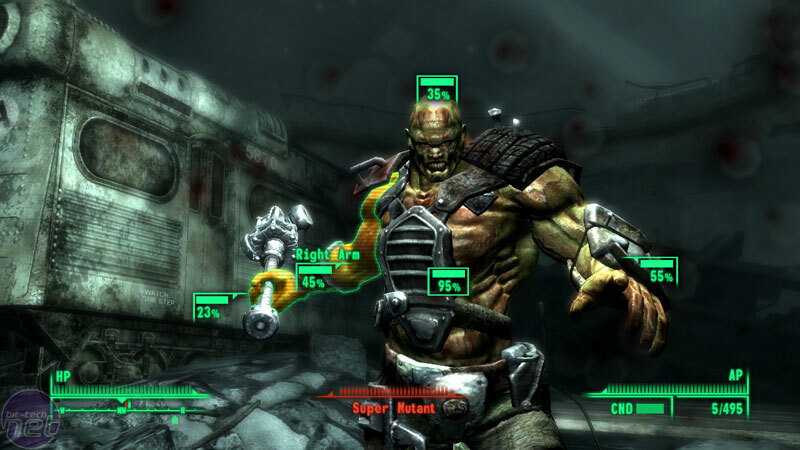 A screenshot showing the targeting system and a super mutant. I'll spare you a shot of the gore that is about to follow. And finally, this wouldn’t be a Martian Chronicles review if I didn’t say something about the science. In this case, I think the game’s developers underestimated the ability for nature to take over once humans are out of the picture. The wasteland depicted is populated by yellowish grass and a few species of mutated animal, but we know what it looks like when a place is irradiated and then abandoned by humans: just go to Chernobyl. Only 24 years after the disaster, Chernobyl has become a haven for wildlife. Although there is some evidence of low birth rates compared to animals outside the exclusion zone, it’s still clear that many species have returned to the area and plants appear to be doing fine. If you look at the chilling pictures of the Chernobyl buildings now, they look a lot like the settings in Fallout 3, which is supposed to be 200 years after a nuclear disaster. Of course, it is never specified how extreme the destruction was in Fallout 3, but since many of the downtown buildings are partly intact, I think the game overestimated the effects of radiation on the surroundings. If 200 years had actually passed, instead of the Capitol Wasteland, a more accurate name would probably be the Capitol Forest, and I suspect the buildings would be even more degraded than they are depicted. For more on how nature would recover if humans were to disappear, I highly recommend the non-fiction book The World Without Us. 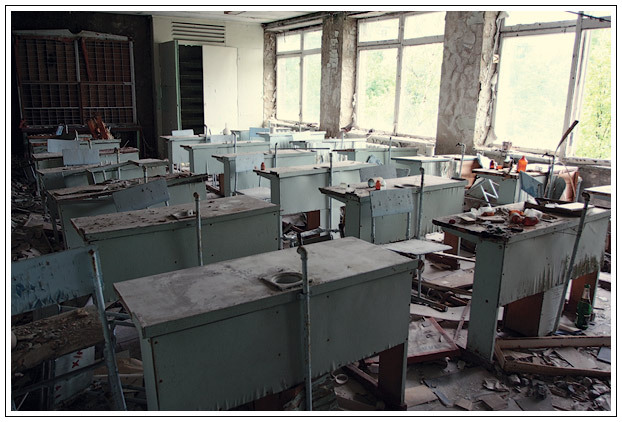 This photograph of a classroom in the Chernobyl exclusion zone 20 years after the disaster looks a lot like many of the locations in Fallout 3, which is supposed to be 200 years after a nuclear war. I won’t go into a critique of the other science issues in the game. I talked in my lasers post about the problems with using them as weapons so I won’t repeat that here. I will point out that if you peruse the remains of the Smithsonian museums, you do actually find scraps of accurate information about astronomy and history among other things (you’ll also find lots of made-up information about the alternate future of the Fallout 3 world). All in all, Fallout 3 is an excellent game. It is also incredibly addictive, and it is huge enough to keep you busy for at least a hundred hours, if not more. To give you some idea just how big it is, I started a new game after finishing my original game (in which I did my best to explore as much as possible), and played for more than a week doing quests and exploring locations that I hadn’t ever encountered with my first game. I probably still would be if I wasn’t in Texas for a month. 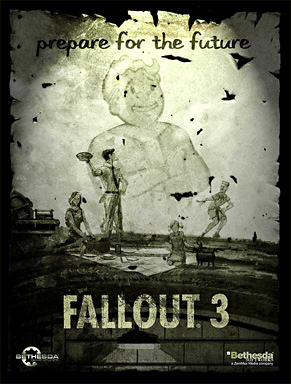 I highly recommend Fallout 3, and I can’t wait to get lost in some of the other RPGs by the same company. 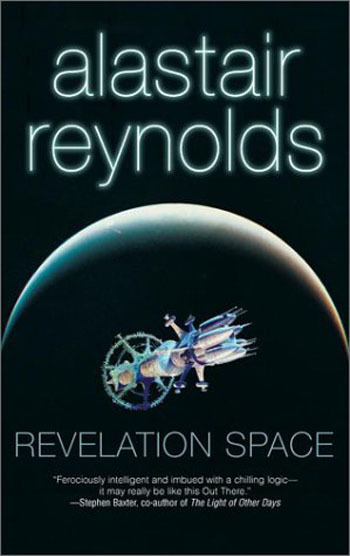 I just finished reading Revelation Space, a hard sci-fi space opera written by Alastair Reynolds. The premise of the story is that in the distant future, when humans have spread into deep space, they discover the remains of the Amarantin civilization that was wiped out just as it discovered spaceflight. The main character, Dan Sylveste is a scientist studying that civilization, driven by an unstoppable compulsion to solve the mystery of what happened to the Amarantin. Meanwhile, Ana Khouri is an assassin who has been hired by the mysterious “Mademoiselle” to kill Sylveste and prevent him from discovering the answer. A third main character, Volyova, is one of only a handful of surviving crewmembers on a starship that holds some of the most powerful weapons ever concieved. The ship is gradually being consumed by a virus emanating from their captain, who is kept frozen in stasis to slow the spread of the infection. Volyova hires Khouri as gunnery officer on the ship, but things get interesting when it turns out that Sylveste is the only person who might have a chance of stopping the virus. Sound complicated? It is. And that’s basically just the set-up. That little summary leaves out many of the subplots and several other characters. This book is intricate and it takes concentration to understand what is going on. 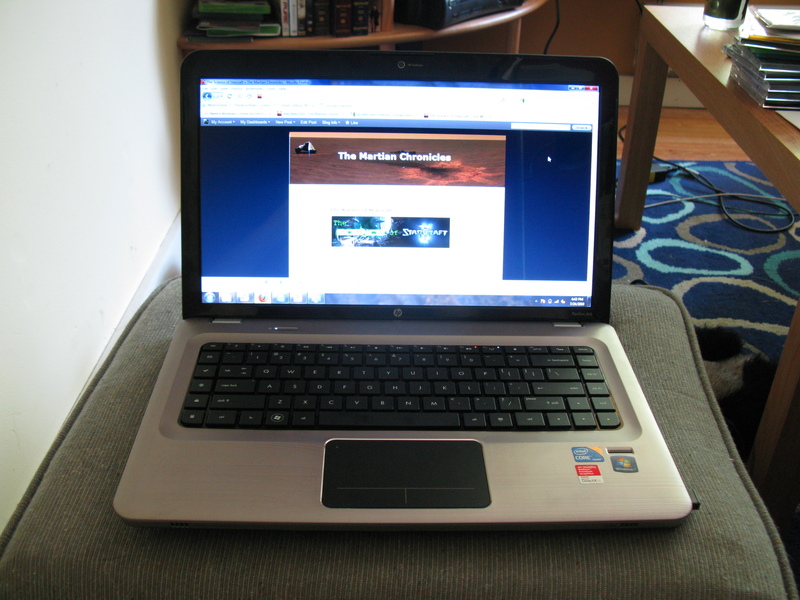 In fact, I really didn’t know what was happening for large portions of the first half of the novel. I am glad I pressed on though, because a lot of the pieces introduced in the first half end up fitting together into a very bizarre but somewhat more comprehensible whole by the end. One of the main problems is that none of the characters are particularly sympathetic or even likeable. Dramatic events occurred throughout the novel and I never really felt any emotional connection to the characters involved. Heck, two of the characters fall in love and get married and, at least to me, there was no hint of real affection between them at any point. This lack of character connection makes events that already are a bit fuzzy even harder to follow. I think part of the bewilderment that I experienced was deliberate on the part of the author. The real driving force behind this book is not the characters but the detailed vision of the future that it portrays. Reynolds has created a future full of fantastically detailed technological marvels and he wants you to be a little bit confused but impressed by them. The line between organic and inorganic, computer and brain in this vision of the future is very blurry, and Reynolds makes good use of this. 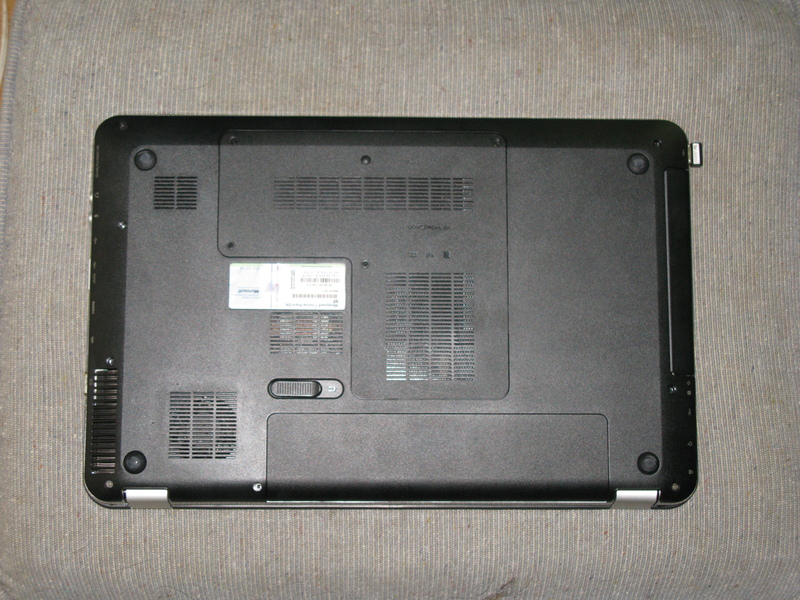 For example, at one point, competing entities do battle with one another after finding themselves both downloaded into one of the main characters’ brains. Ships are capable of manufacturing their own components, or weapons, or other ships, using that universal magic of modern sci-fi: nanotechnology. Spacesuits are no longer bulky bags of breathable air, they are shape-shifting, heavily armed, antimatter-powered intelligent spacecraft in their own right. What I really enjoyed about this book was that the technology described was always well grounded. Reynolds in an astrophysicist, and it shows. Most of the technology described is so far beyond our current capabilities that it might as well be magic, but Reynolds has enough scientific knowledge to spin some extremely convincing technobabble. He has clearly put enough thought into the ideas to understand some of the more subtle implications. Nothing goes faster than light, suits need to refuel their thrusters, relativistic effects play an important role, etc. As a scientist myself, the tech-talk wasn’t what got me confused. The politics and the backstory were what left me scratching my head. I wish Reynolds had spent less time on the tech-talk and a little more time fleshing out the cultures and geography and political landscape, especially as they related to the main characters and main events. It doesn’t give away too much to say that there is a political assassination at some point in the book, and I had only the faintest understanding of why it occurred and what it meant. Sylveste starts off as a political figure of some power, but it was never really clear to me why or how he ended up that way. Complaints about confusion and characterization notwithstanding, I liked the ending. A lot of the seemingly disparate pieces finally do come together, and they form a bizarre and mind-bending conclusion that was nonetheless pretty satisfying. Bottom line, I would recommend this book to people who like their sci-fi mind-bending and “hard”. For deep emotional connections and characterization, look elsewhere. But if you want a nice long immersion in an awesomely imagined intricate and strange future that still manages to be surprisingly convincing, I’d recommend Revelation Space. Avatar was spectacular. I always worry when a movie gets as much hype as Avatar did that in the end it will not live up to expectations, but Avatar delivers. It is probably the most beautiful movie I’ve ever seen and one of the best sci-fi movies in recent memory. And even better, it is not a sequel or a remake or based on a comic book or novel. It is genuinely original, an unfortunate rarity these days. 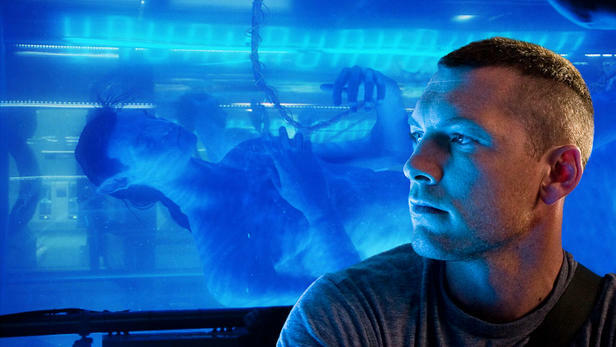 The story follows the crippled marine Jake Sully (Sam Worthington) as he arrives on the tropical moon Pandora as part of a human mining operation. The indigenous people, the Na’vi, are not too happy that the humans are bulldozing their forest paradise, and the humans aren’t too happy that the Na’vi live atop the richest ore deposit around. Jake was brought in because he is the genetic match to his dead twin brother’s avatar: a lab-grown Na’vi body that can be remotely inhabited and mind-controlled by a human operator. 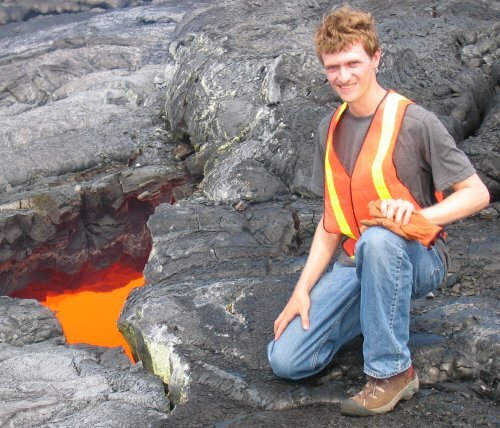 His mission is to learn about the Na’vi and convince them to move away from the ore deposit, but the more he learns the more he realizes that his species may not be the good guys. If the story sounds familiar, it is. Dances with Wolves, Shogun, and many other stories follow the same pattern, with a main character “going native” and switching loyalties as they learn about a supposedly backward culture. It’s an extremely effective story, and I’m a sucker for it every time. So yes, Avatar is Dances with Wolves in space, with strong overtones of Fern Gully and Star Wars. But frankly, that’s fine with me. I like those movies. 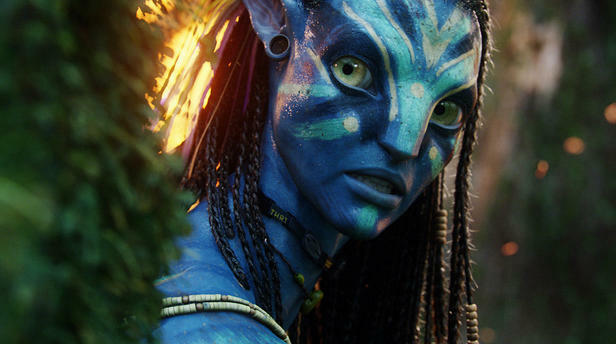 And despite its similarities to other stories, Avatar manages to shine. Or should I say, bioluminesce? I’m referring, of course, to the glowing plants and animals of Pandora. 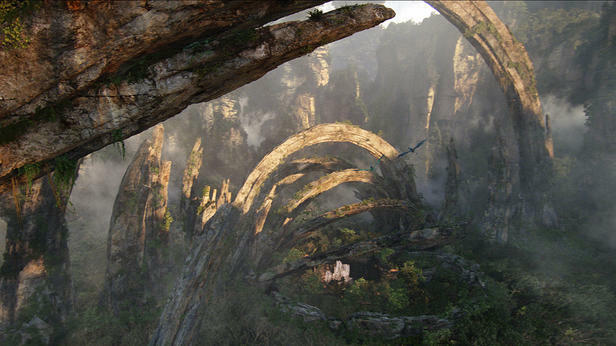 Avatar succeeds because Pandora is one of the most well-crafted, beautiful and immersive fictional worlds I’ve ever seen. The plants and animals are bizarre and unusual, but plausible. Much of the vegetation is based on sea creatures on Earth, giving it an alien but familiar feel. The animals have six limbs instead of four, but they move so convincingly the extra legs make perfect sense. And then of course, there are the Na’vi. The motion-capture technology used to turn human actors into ten-foot-tall blue aliens is perfect. Every facial expression and subtle movement is captured, making the Na’vi feel completely real and convincing. Done poorly, the Na’vi could have fallen squarely in the uncanny valley, either creeping people out or making them laugh. Cameron has managed to jump over that valley, and his blue aliens are in many ways more real than the human actors in the movie. Their language is completely convincing too, and it’s no wonder since it was designed from scratch by a professional linguist. Believe it or not, this is CGI. Of course, I have to say a little bit about the science of the movie, because that’s what I do. For the most part, this is a science fiction movie where the science is behind the scenes, and I think that was a wise move. We are never lectured about how exactly the avatars work because that’s not important. 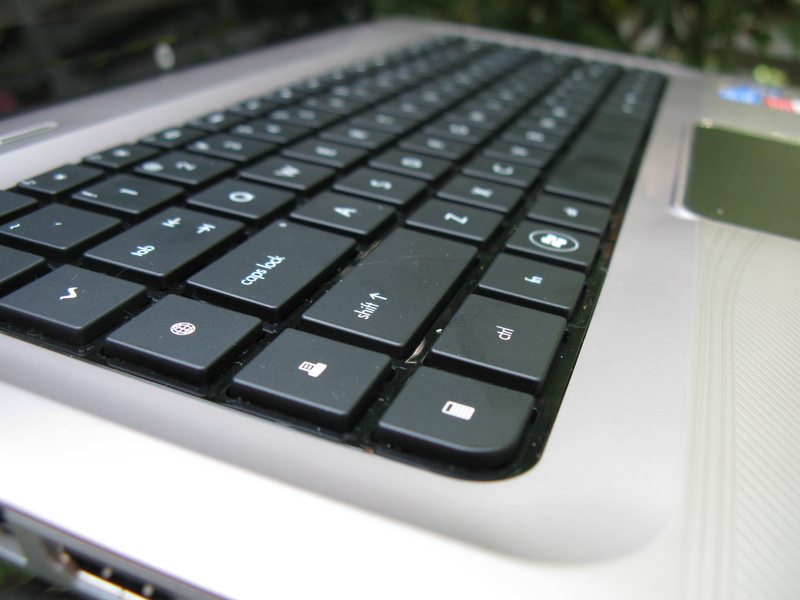 We learn precisely what is needed for the story and no more. I already mentioned the alien life forms, and these are excellently imagined and always convincing. 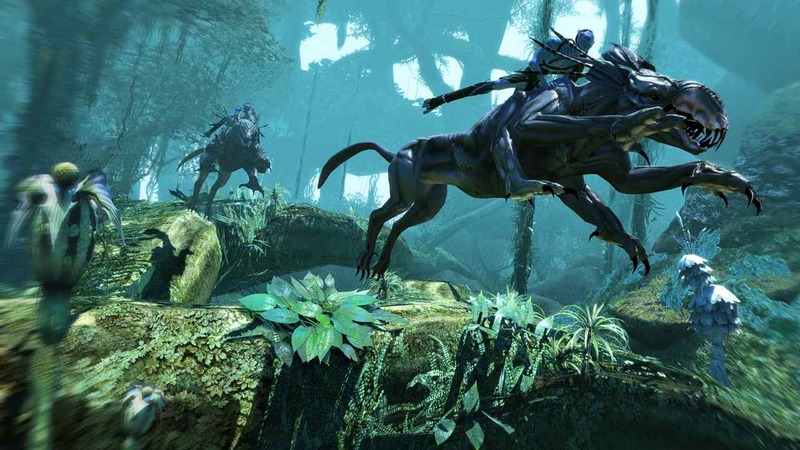 One minor nitpick is that the Na’vi have four limbs, just like humans, but all the other large creatures on Pandora have six limbs. I understand the need to make them familiar enough for the audience to sympathize, but it would make more sense biologically for them to have the same body plan as the other creatures in their world. As far as the moon Pandora goes, we aren’t shown much. It orbits a jupiter-like gas giant, and has a thick atmosphere that humans can’t breathe. This atmosphere is a perfect example of the attention to detail in Avatar. When Jake arrives on Pandora and the door to the shuttle opens, there is a brief shimmer in the air as the breathable gas inside the ship mixes with the moon’s atmosphere. Anyone who has mixed a gin and tonic or swam in an estuary where salt water and fresh water mix is familiar with this shimmer as fluids of slightly different densities mix. 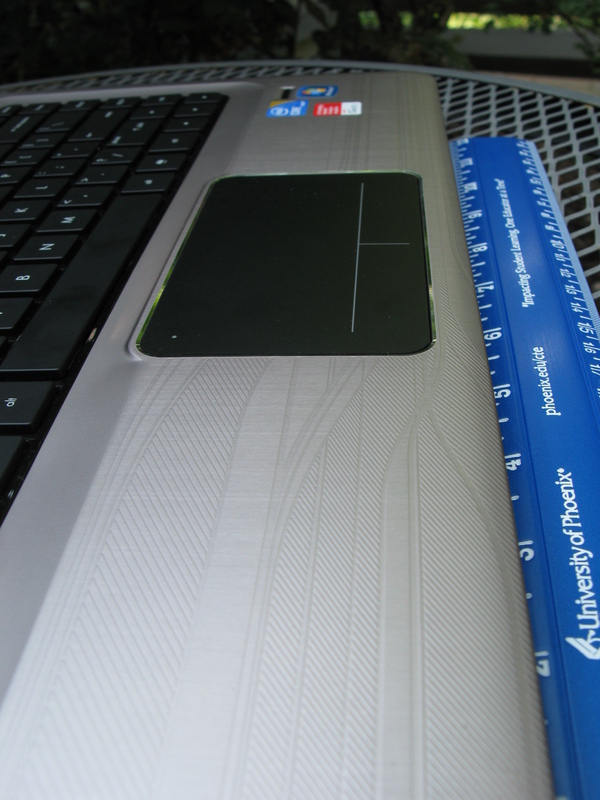 The issue of day-length is not mentioned, but it seems to be similar to an earth-day. This would mean an orbit likely too close to the planet to be stable, but this is a very minor detail. 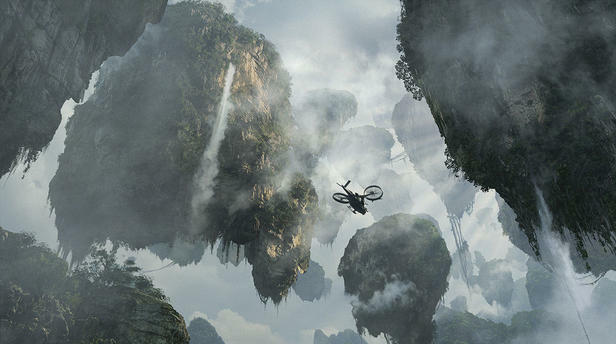 The most obvious bad science in Avatar are the floating mountains. Don’t get me wrong, these are awesome! The movie wisely doesn’t try to explain in too much detail, but it is implied that powerful magnetic fields are involved. It’s obvious that this part of the movie is fantasy, but I just have to say, I wish they didn’t call the area with the high magnetic fields the “flux vortex”. It made me flinch every time. I loved the rock formations that followed the magnetic field lines though. Implausible to have such strong fields, but very cool. I will add that powerful magnetic fields would be quite handy for a moon close to a gas giant, handily deflecting the powerful radiation that would otherwise strip away the atmosphere and damage life on the surface. Bottom line, Avatar was fantastic. Yes the story was familiar, and yes some of the dialog was cheesy, but none of that matters because Avatar is a chance to visit Pandora. The acting is good, but the real star of this movie is the world. It is gorgeous and exotic but the attention to detail and the unprecedentedly effective use of 3D technology makes it feel utterly real. Avatar is nearly two and a half hours long, but at the end, as the credits rolled, I was sad that it was over. I wanted to go back and walk the bioluminescent footpaths of an alien forest one more time. I wanted to fly between floating mountains again. And yes, I wanted to be blue. Go watch it. You will too.